pickup from Tirupati airport,. You will be pick up by our representative and proceed to Hotel. Evening Tirupati temple sightseeing for 3 Hrs. Night in hotel. Reach Rameshwaram at 8:00 AM. 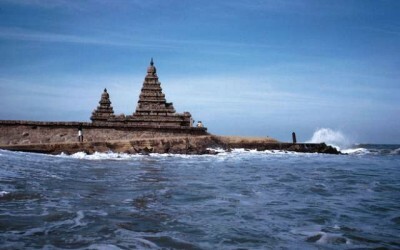 Continue drive for Rameshwaram – the place from where Lord Rama, built a bridge across the sea to rescue his consort Sita, from her abductor, Ravana. Arrive at Rameswaram in the afternoon and check in at hotel and go for half day tour of Rameswaram. Visit the famous Ramanathan temple – a Master piece in Dravidian architecture. Night in hotel. Early morning Darshan in the famous rameshwaram temple. Afternoon depart for Madurai by surface approx. 160 kms / 3 hrs. Check in at your hotel. Arrive Madurai & visit Meenakshi Temple. Evening at your Evening at your Leisure, Overnight at the hotel. Morning depart for Madurai sightseeing. Transfer to Madurai Railway Station.